If you're a gardener or a lover of gardens, please remember to stop by Tootsie's blog Tootsie Time and have a look. Although my garden is in sore need of weeding, it's blooming beautifully. 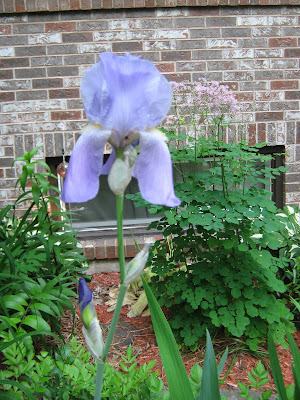 Yet again this year, I have one lone Iris bloom in my front bed; there's another lone bloom in the back bed that will open soon. Perhaps they are star-crossed lovers and lone to be together! 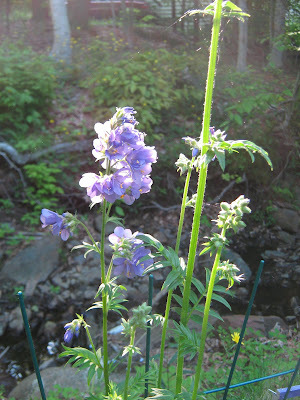 This is year 2 for my Jacob's Ladder, and it's loving it's location. How pretty it is. 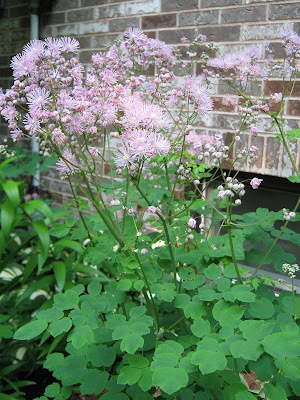 Another of my yearly favorites is the Meadow Rue. 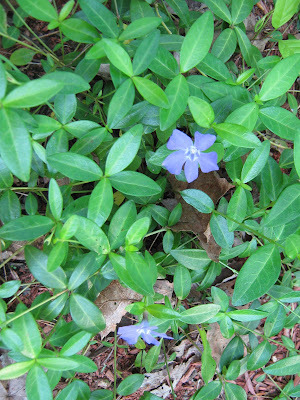 The periwinkle is such a pretty flower as well with it's shiny, leaves and petite blooms. 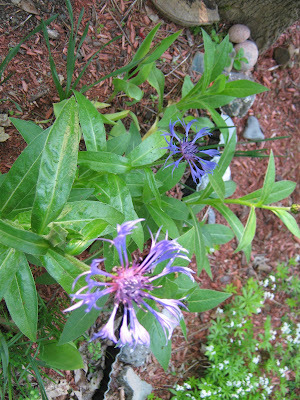 Mountain Bluettes have just begun to open in the Larry bed. 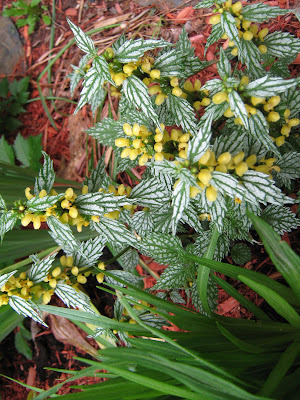 And this is a beautiful little plant. I believe it's a kind of Lamium. 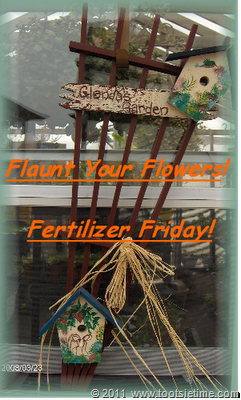 Happy Fertilizer Friday everyone! I hope your weekend is wonderful. Beautiful flowers! I have some on my deck blooming, guess I should take some photos! It has been so stinking wet and rainy out here, that all my flowers are still in the green house. And since we haven't been able to get any landscaping done, there are no pretty flower beds outside either.